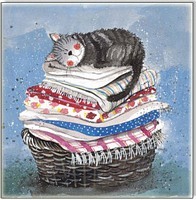 Price quoted is for 1 Laundry Basket Card. Price quoted is for 1 Watching And Waiting Card. 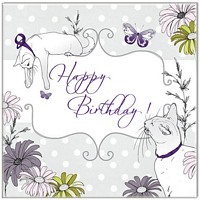 Price quoted for 1 Thank You So Much Cat Card. Price quoted is for 1 Resting Cat Card. 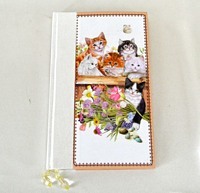 Price quoted is for 1 Two Cats & Butterfly Card. Price quoted is for 1 Black Kitten Card. 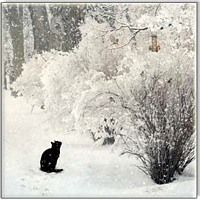 Price quoted is for 1 Black Cat Card. Price quoted is for 1 Tabby Kitten Card. 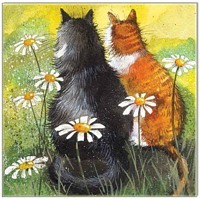 Price quoted is for 1 Florists Cat Card. Address book has letter divisions. 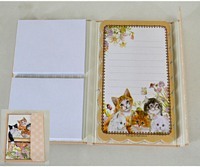 Price quoted is for 1 Cat Notebook and Address Book. 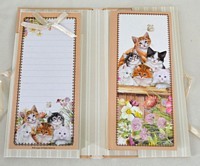 Price quoted is for 1 Cats Notebook.